As mentioned in this blog, Eiko & Koma’s retrospective launched last month, and will be making its way to the Walker starting in October. “As a Walker Art Center intern in the summer of 2009, I worked in the performing arts department, supporting the wonderful staff as they planned events for the 2009-2010 season and beyond. One of the projects that was on the horizon for late 2010 was a residency by Eiko & Koma, two Japanese-American dancer-choreographers who have a long history with the Walker. Over the course of Eiko & Koma’s career, the Walker has been a great supporter, presenting and even commissioning new work from the duo. Now, almost a year, later, I find myself working as an assistant to these great artists, who are gearing up to make the planned residency a reality. 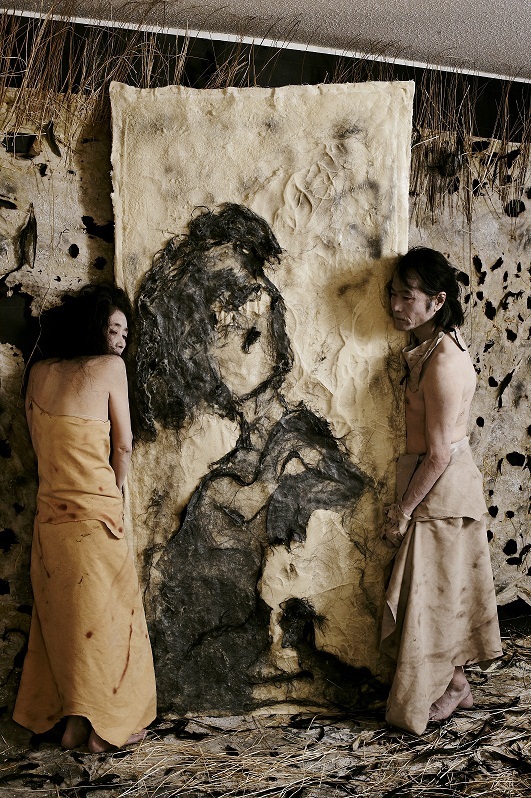 As part of Eiko & Koma’s Retrospective Project (which you can read more about here) the Walker has commissioned a new piece from the artists, which will take the form of a living installation titled ‘Naked’. Eiko and Koma have been hard at work over the last few months conceptualizing and designing the piece, and will spend the next few months asartists-in-residence at the Park Avenue Armory building the installation before it arrives in Minneapolis in November. While plans for their month-long installation here in November, Naked, are already in place, Eiko and Koma are exploring ways to add additional components to the piece. They’ve been chosen by United States Artists to participate in a unique fundraising strategy that may be “the first Internet site that allows direct public donations between art patrons and pre-selected artists” according to the Eiko and Koma website. Part of their residency plans at the Walker also include a retrospective catalog of their work. A final note of interest is that Eiko and Koma have put together a video anthologizing their entire body of work, nice for those new to the oeuvre. Check the first clip to see White Dance, with Koma “throwing potatoes with abandon” as Gia Kourlas wrote in the New York Times.